It is our pleasure to welcome you to the Houston Bay Area! 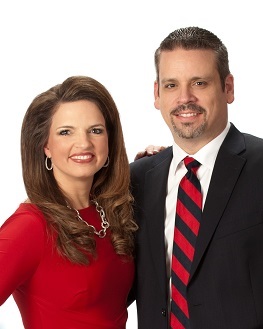 The Stanfield Team, led by Alan & Beth Stanfield, is Friendswood’s #1 real estate team, a top 5 team in Pearland and League City, and a Top 100 team in the entire Houston area. With over 40 years of combined real estate knowledge, the Stanfield Team provides their clients with a first-class real estate experience from showing to closing. With 3 full-time agents, a concierge-level marketing team, and a certified home stager on staff, the Stanfield Team always goes the extra mile to make our property listings stand above the crowd. And with powerful search tools and on-the-ground knowledge of the market, we assist our buyers with finding the right home as soon as it hits the market, or even before! If you’re looking for homes for sale in Friendswood TX, homes for sale in Pearland TX, homes for sale in League City TX or ANY city in the Houston Bay Area, we’d love to talk with you!